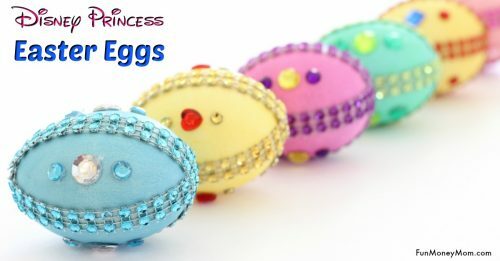 From Easter eggs decorated with beautiful paper napkins to eggs covered in glitter and foliage, you’ll be amazed at these creative Easter egg ideas! I’ll admit, I’ve been totally guilty of dropping colored pellets into bowls of vinegar and telling the kids to have at it. 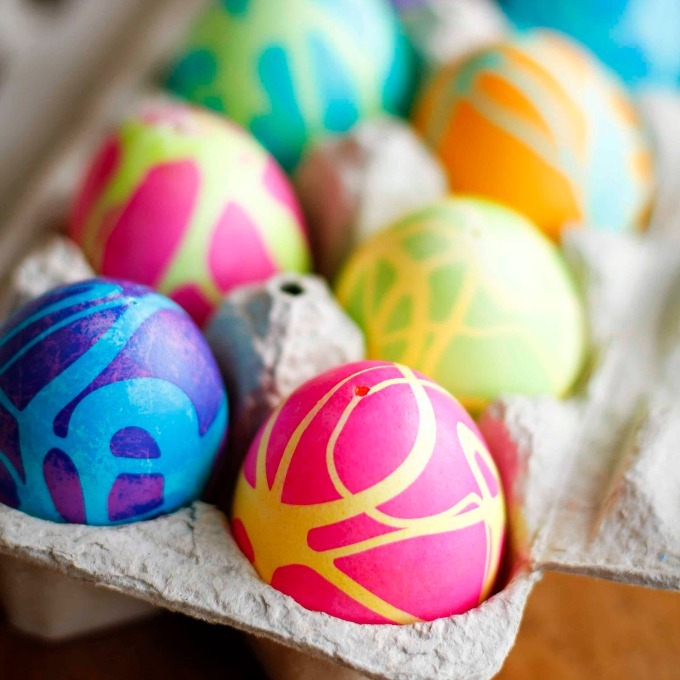 Not anymore though…I’m totally hooked on Easter egg decorating. 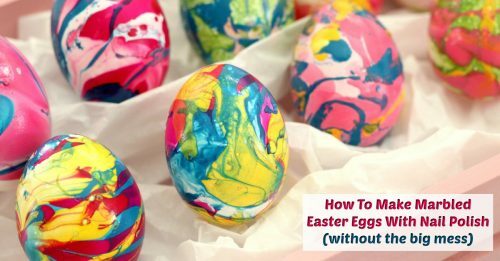 There are so many things you can do, from decorating with beautiful paper napkins to rolling eggs in colored shaving cream. This year I may even color eggs using foods as natural dye. 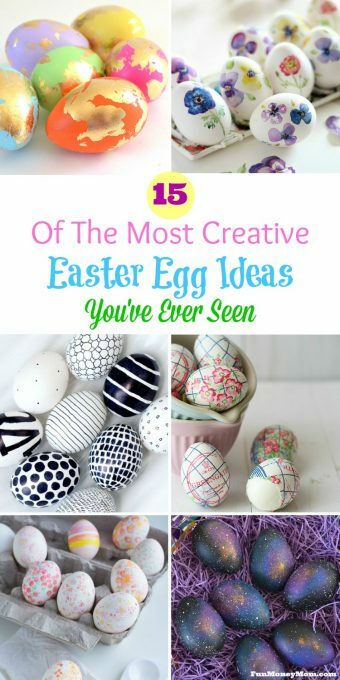 There are so many great Easter egg ideas that you never really have to use those tablets again! 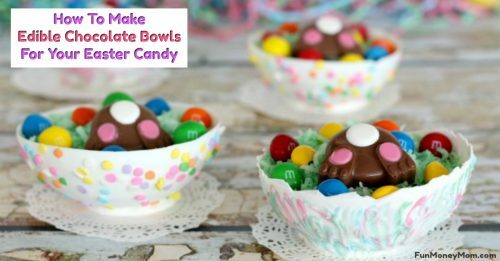 Plus, if you get hungry while you’re decorating, you can make these yummy Rice Krispie Easter Eggs. 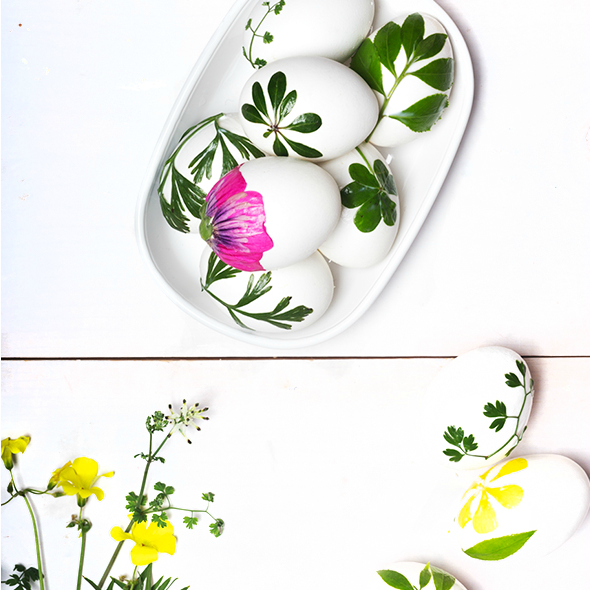 It doesn’t get much better than decorating eggs and eating them at the same time! 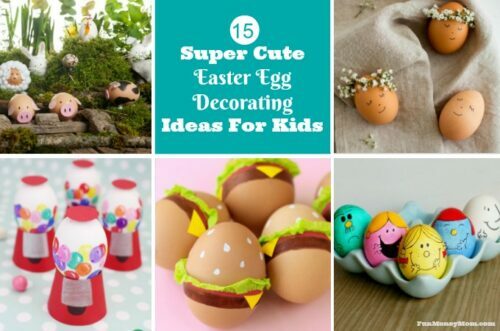 If you’re looking for a little inspiration, check out these super creative Easter egg ideas! 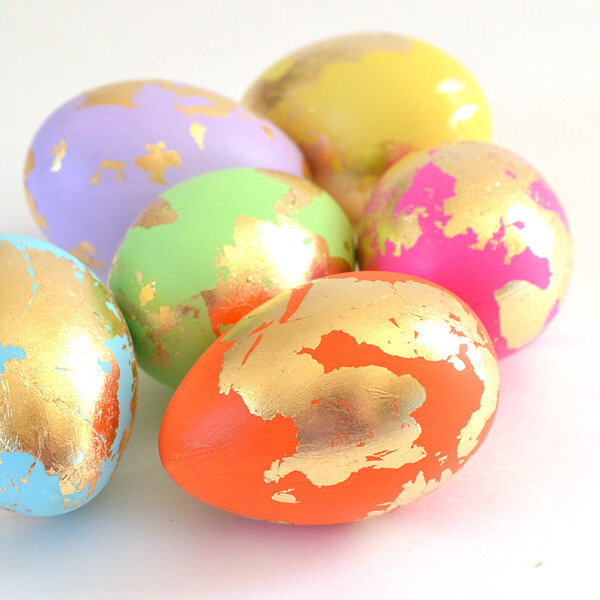 These Gold Leaf & Abstract Easter Eggs from Dream A Little Bigger are so pretty that I even made my own gold foil Easter eggs! 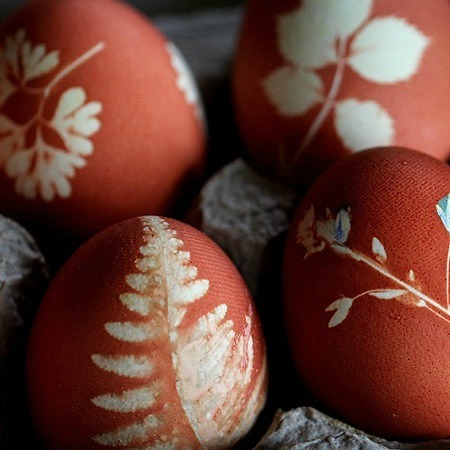 Craftberry Bush’s Watercolor Eggs are so beautiful that I’d want to use them as home decor well past Easter. They’re so perfect for spring! Crafty Morning shows us that one of the easiest ways to make Easter eggs is with a little shaving cream and food coloring. 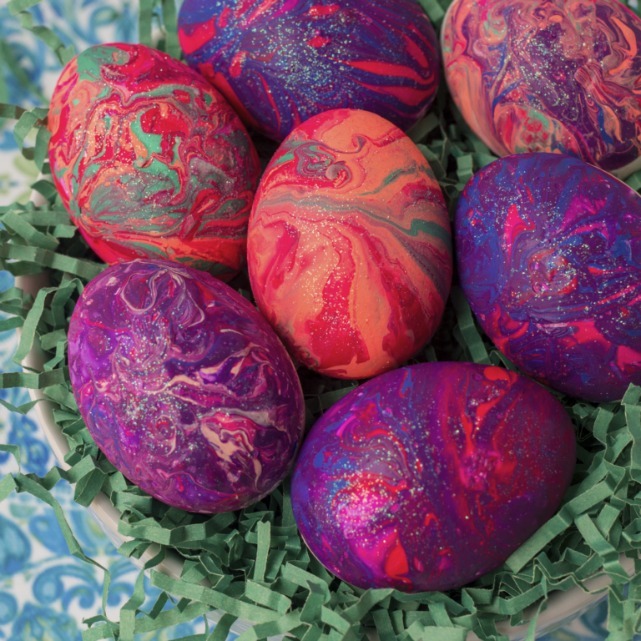 Check out these Shaving Cream Dyed Easter Eggs and then try making some with the kids. 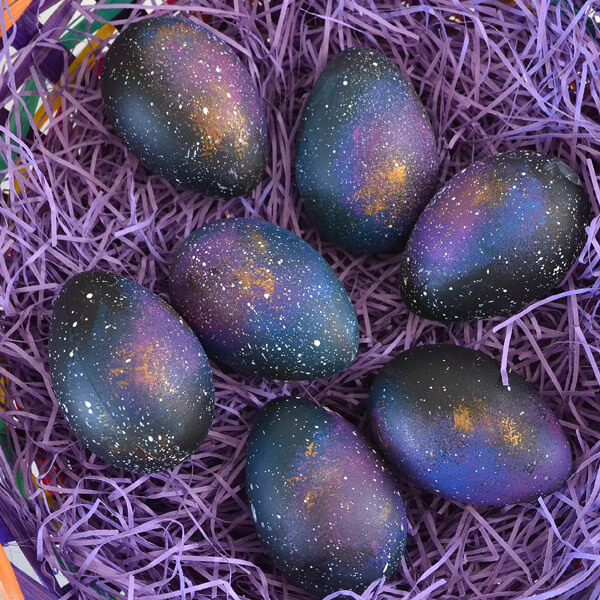 This Galaxy Easter Egg Tutorial from Dream A Little Bigger is at the top of our list of Easter egg ideas to try! Plus, my girls love Star Wars so I think they’d have a blast with the space theme. 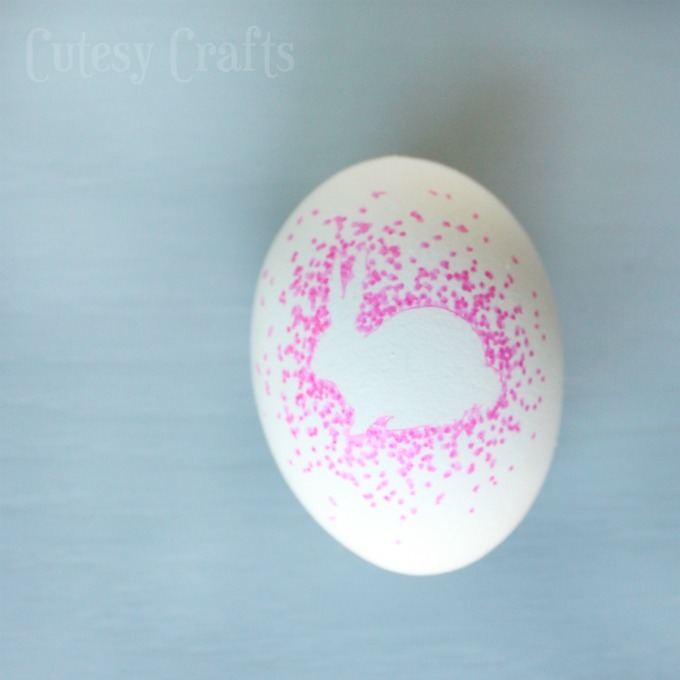 It would never have crossed my mind to use rubber cement when decorating Easter eggs but I love this Rubber Cement Easter Eggs Technique from Unsophisticook. Who knew you could use onion skins for decorating? I love the natural look of these Onion Skin Dyes For Easter Eggs from Kootenay Co-op. 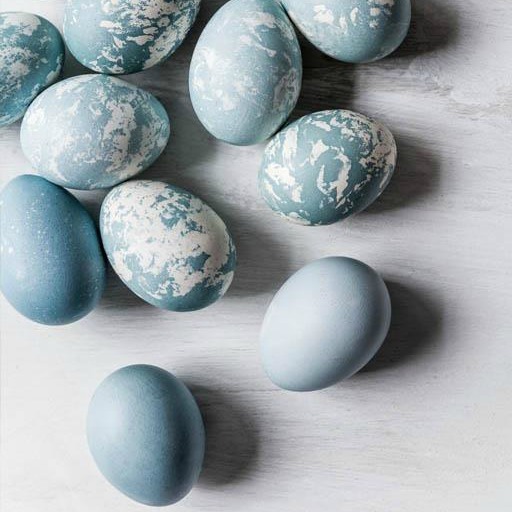 I’m totally obsessed with these Naturally Dyed & Marbled Blue Easter Eggs from Sweet Paul. They’re so beautiful, yet so simple at the same time! 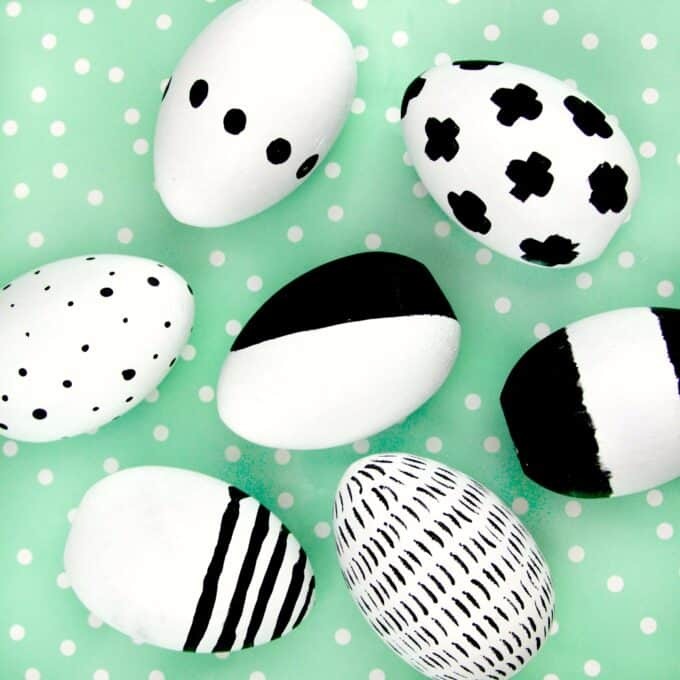 For something different, try making these Black & White Easter Eggs from A Little Craft In Your Day. 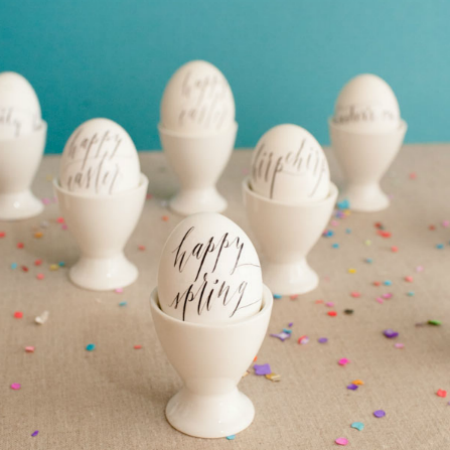 These Sharpie Easter Eggs from Cutesy Crafts are super easy yet so adorable. They’re the perfect craft for kids (and adults too). 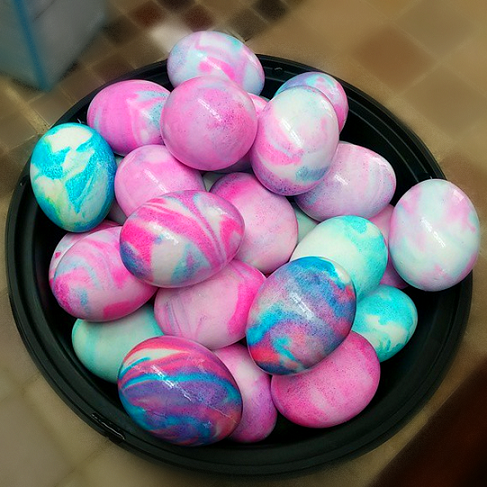 I love these Marbled Easter Eggs Using Nail Polish from Young At Heart Mommy so much that I even made some beautiful Nail Polish Easter Eggs of my own. I even found a way to do it without making a mess! 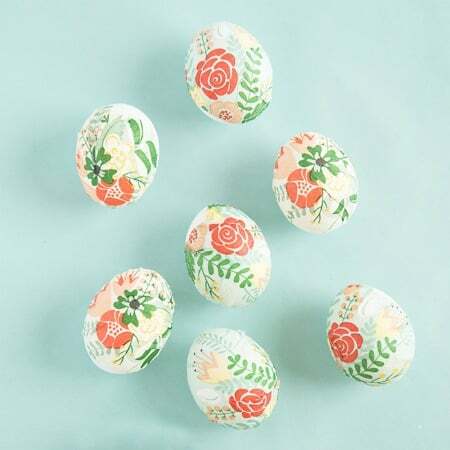 How pretty are these Foliage Easter Eggs from Say Yes? 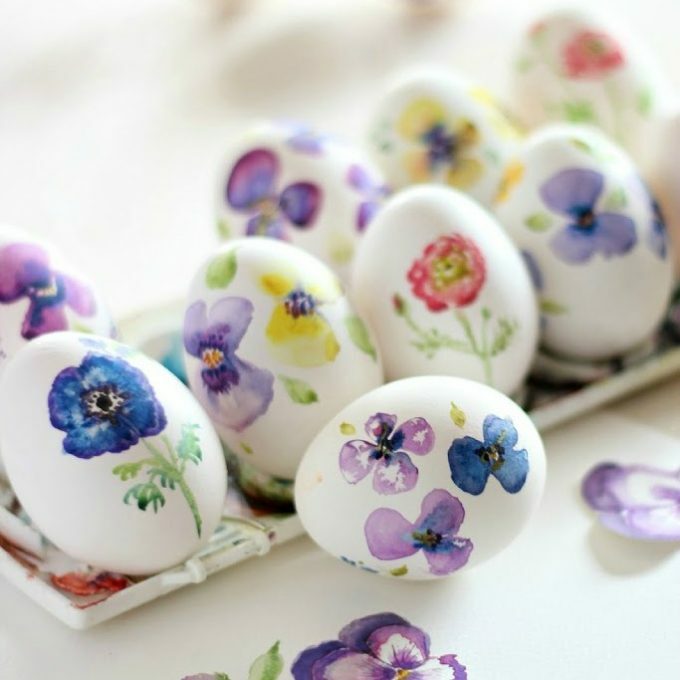 I may just make some to use a pretty Easter centerpiece! Glitter doesn’t always have to be flashy. 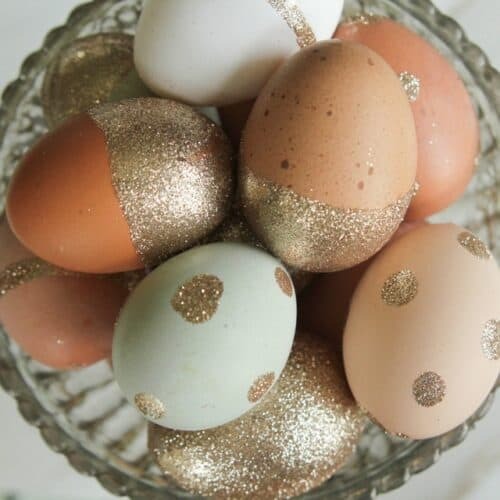 These Glitter Easter Eggs from Girl Inspired are simple and elegant. Shhh…you wouldn’t want to wake these adorable Floral Wreath Crowned Easter Eggs from Flax and Twine. 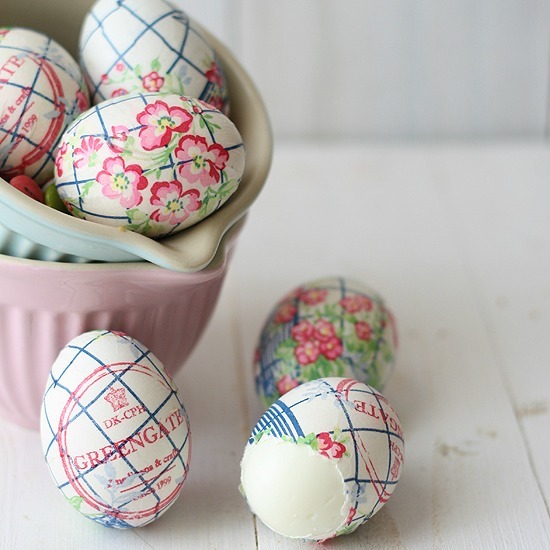 These Paper Napkin Easter Eggs from Alice and Lois were so pretty that I made some Napkin Wrapped Easter Eggs too. I love how you can completely change up the look just by the napkins you choose. 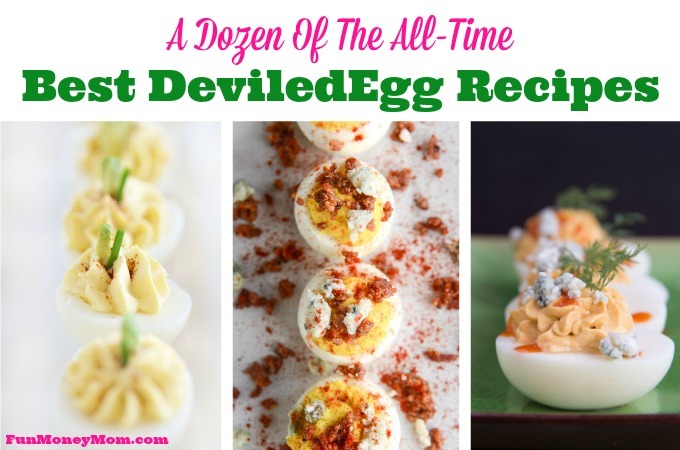 How creative are you when it comes to your eggs? 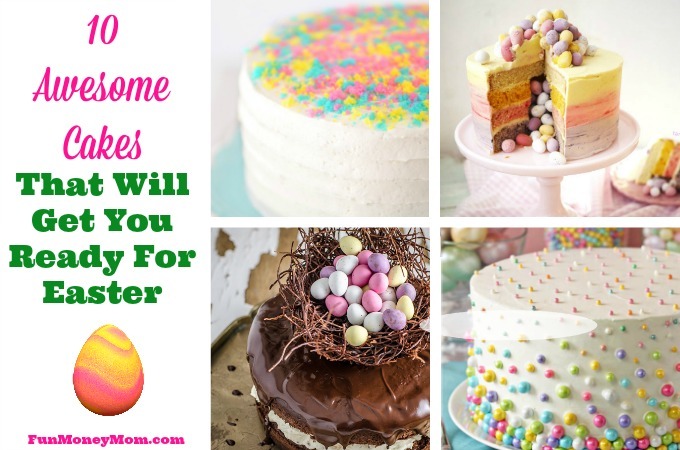 Which of these Easter egg ideas would you like to try? Great collection you put together here Lisa! I think my favorite has to be the gold leaf ones, but they all look great!